Communication skills have a significant impact on how managers and leaders are perceived by their employees, colleagues, and stakeholders. Management Communication is an online program that offers a unique insight into newly emerging perspectives in communication and learning that serve the needs of the 21st-century professionals. You will gain the skills to succeed in the ever-changing business environment through innovative methods and techniques. Offered in an online format that allows for greater accessibility and flexibility, we present in each module of the program the ability to work on various levels. 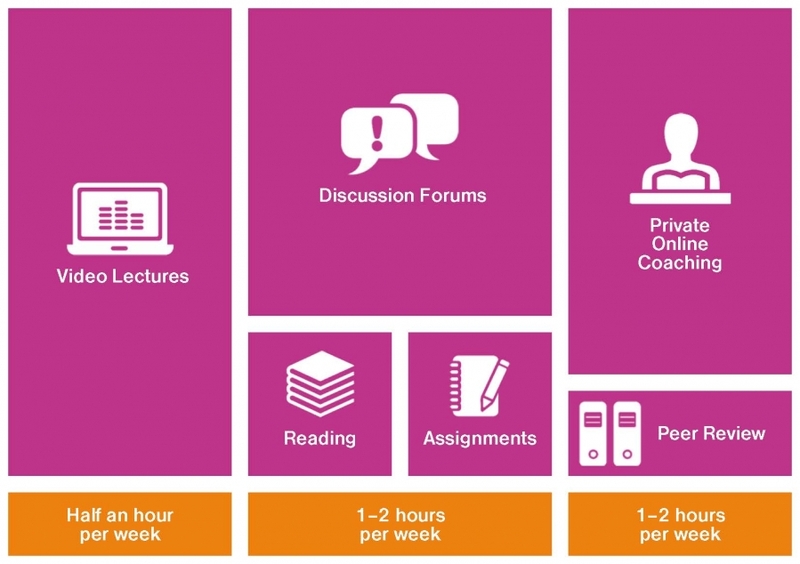 This includes video lectures, online coaching, and an active discussion forum. Carefully crafted, this program provides participants with the opportunity to learn and practice communication, learning strategies, and techniques for creating a flow of influential and inspirational communication. We highlight topics such as influencing, sensitive topics consideration, how to communicate effectively through transformation communication and building up skills for designing speeches, delivering and story-telling. The online program is designed for professionals, who want to become more strategic and effective in their communication in a work environment. The program is beneficial for newly appointed managers who need to build trust within their team, and managers in organizational change who need to get everyone on board and motivate them for the upcoming change. The program will help participants acquire skills to inspire others, and capabilities of transformational speaking, positive persuasion, influencing positive outcomes and transforming beliefs and attitudes. We will start the program with a comprehensive review of the current status of the 12 different factors influencing management and leadership. After that, we will set a concrete and tangible goal for the process with a goal-setting canvas. Then, we will discuss the different themes (e.g., values, delegating, self-leadership) related to the goal using ROSA-method (Reality, Objective, Solutions, Action) and create a concrete 1-year action plan for achieving the goal. After each coaching session, there is always a concrete next step to be completed for the next time. In this module, we will reflect on what constitutes an effective managerial communication from the theoretical point of view. More specifically, we will learn about the key communication theories that shape both effective managerial writing and speaking. In this module, we will discuss the nature of sensitive messages in managerial communication. More specifically, we will explore how to compose and deliver emotionally sensitive messages. This is an implementation week. It is dedicated to bridging theory from Modules 1, 2 and practice. In this module, we will learn about models and tactics for effective transformational speaking. More precisely, we will discuss how to prepare and deliver an effective transformational speech. In this module, we will address one of the biggest fears of humanity – the fear of public speaking. Furthermore, we will address the memory techniques that help deliver a speech without notes. This is an implementation week. It is dedicated to bridging theory from Modules 4, 5 and practice. In this module, we will reflect on everything we have learned so far and touch the framework that can enhance our understanding of highly effective leader-communicator in the 21st century. Netta Nevalainen is a Certified Coach, Communication Professional & Trainer for individuals, entrepreneurs, and organizations. She is an expert in marketing consulting, corporate communication, intercultural management, virtual leadership and teamwork, and self-leadership. The fee for the Management Communication online program is € 980 (+ VAT).